A young gearl hunting for Easter eggs. Photo by Adrian via Free Images. Each brand New Year begins with the shrill of noise-makers and good tidings between friends and family. Then Cupid slings his arrow into our hearts for Valentine’s Day, followed by an Easter eggs-travanganza. The night sky lights up with the boisterous booms of freedom for Independence Day, followed by spooktacular Halloween tricks and treats. Then, at the end of the year we all come together and count our blessings on Thanksgiving and in December unwrap all of the beautifully wrapped presents around the twinkling Christmas tree. With so many great annual observances and commemorations, holiday celebrations ring out all year long on Long Island. From season to season countless activities, events, and happenings are taking place around you. No matter the weather, rain or shine, snowing or not, there is always something to do in celebration of the upcoming holidays, both big and small. Although many people view Memorial Day as the unofficial start to summer, with so many concerts, barbeques, festivals, and boat shows going on, it truly is a holiday to commemorate the many fallen soldiers and brave lives lost, all of whom made even doing these activities possible. While you’re out having a blast don’t forget to remember our heroes and visit the memorials and tributes going on around the Island. LongIsland.com's 2016 Memorial Day Weekend Fun Guide! Show dad some love this Father’s Day by demonstrating your love and appreciate for all that he does. Send him a heartfelt card, take him out for a day of fun (of his choosing!) and let him decide what you guys have for dinner that night. Bring on the BOOM this 4th of July with tons of live music, fireworks displays, and backyard barbeques. It’s the biggest holiday of the summer so you won’t want to miss out on all of the fun Independence Day events happening near you. If you love carving up pumpkins, dressing up in costume, and gorging yourself with candy then Halloween is probably one of your favorite holidays. Being such a dynamic holiday, with lots of kid friendly happenings and adult geared events, there really is something for everyone. Spend this Halloween doing some frightfully delightful activities on Long Island. Check Out Real Long Island Haunts! Take the time to reflect on and show appreciation for the work and courage of our veterans. Show your respect to these brave men and women who have risked life and limb to keep their country safe, uphold the ideals of freedom and liberty, and have allowed us to live the lives that we do. Here are some ways to celebrate in their honor and show your support. Thanksgiving is about much more than breaking bread at a big family gathering and slowly slipping into a food coma. It is a time to communicate what you are grateful for, give thanks for your many blessings, and spend some quality time with your family and friends. Celebrate Thanksgiving by partaking in the many festive parades, festivals, and other affairs happening on Long Island. Thanksgiving Crafts for Kids: Make More than Just Paper Turkeys This Holiday! Rejoice in the Festival of Lights this year by learning about the origins of Hanukkah, attending a Menorah lighting ceremony, or trying your hand at making traditional latkes. Since Long Island is made up of such a diverse melting pot of people, all of whom practice various religions, you will not have any problems finding Hanukkah events to attend. It’s time to put up those trees, decorate them from the base all the way to the pointed star on top, wrap up presents to scatter below, and sing along to the catchy Christmas carols on the radio. Don’t get too wrapped up in all the holiday shopping though, Christmas is a time for gladness, forgiveness, charity, love, and a pause from the normal hustle and bustle of our busy lives. Spend some quality time with your friends and family this holiday season and take in all of the happenings going on around you. 2016 Tree Lighting Ceremonies: Celebrate The Season! Creative Ideas for Elf on the Shelf Fun! Cheerful Christmas Themed Party Ideas - Ugly Sweater Party, Cookie Exchange Party & More! It’s that time of year once again, get out those noise makers, pop open the champagne, and start planning out those New Year’s resolutions. Ring in the New Year on Long Island with style and celebrate with joyous festivities that are fun for the whole family. Martin Luther King was a great American. He tirelessly fought for civil rights, equality for all, and dreamt of a new world where every person, every child, would have the opportunity to live in a world where they were not judged by the color of their skin but by the integrity of their character. King had a dream and his dream is one that should be honored, reflected upon, and remembered, for all of eternity. Love is definitely in the air this February. Put on your bright red and pink garb, send out some Valentines, and open up that box of chocolates, it doesn’t matter if someone else bought them for you, or you decided to treat yourself. Let Cupid sling his arrow into your heart this year while you revel in all of the amorous activities going on to commemorate this lovely day. It doesn’t matter if you’re Irish or not, everyone can enjoy some shamrockin’ merriment this Saint Patrick’s Day. From parades to eating corned beef and cabbage, Irish step dancing performances to beer tastings, you may not luck out and find a four leaf clover, but you will find tons of St. Patty’s Day fun to be had. Celebrate St. Patrick's Day on LI! Bunny rabbits, baskets overflowing with cellophane shreds, chicks, and pastel colored eggs, all will be in abundance this Easter. Why not take the kids out for an Easter egg hunt or to take photos with the Easter Bunny. Enjoy an Easter Sunday brunch then dye some eggs at home. There are so many ways to spend this springtime holiday, egg-specially when it comes to spending it with your kids and family. 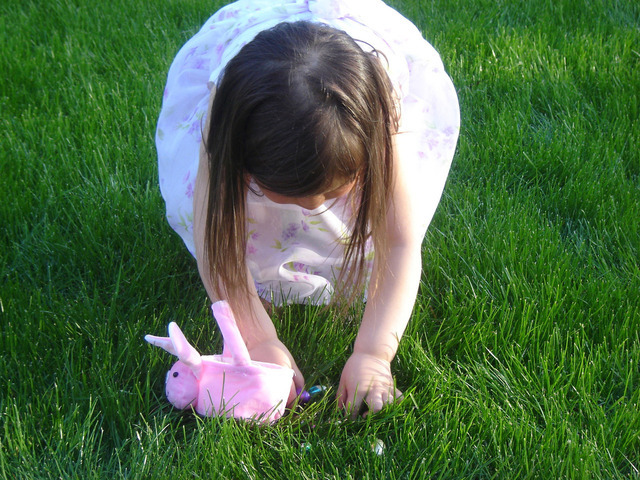 Easter Egg Hunts Taking Place Across Long Island! Breakfast with the Easter Bunny: Easter Brunches for Kids - Coming Soon! Give mom a break this Mother’s Day and spoil her silly for all of the wonderful things she does for you and everyone around her. Make sure you say, “thank you” and let her pick how she wants to spend her day. Maybe she wants to go off and enjoy a spa day, or go out for a nice lunch at a new local restaurant, or tour Long Island wine country, whatever it is she wants, her wish is your command. There are always plenty of things to do on Long Island during the holidays – for even more of the best local entertainment and activities check out our Things To Do Guide and Calendar of Events!